Or at least publish one on my blog. Let's face it, it's not every certificate which features a still-life photo of some fruit and an insulin pen. But as the document above demonstrates, after countless weeks of intensive study, tireless learning and lucky guesses, I've officially graduated from the University of California, San Francisco, and gained the kind of qualification which is recognised by virtually no one. Although by the time I've dressed it up a bit on my CV, it'll look like a PhD. 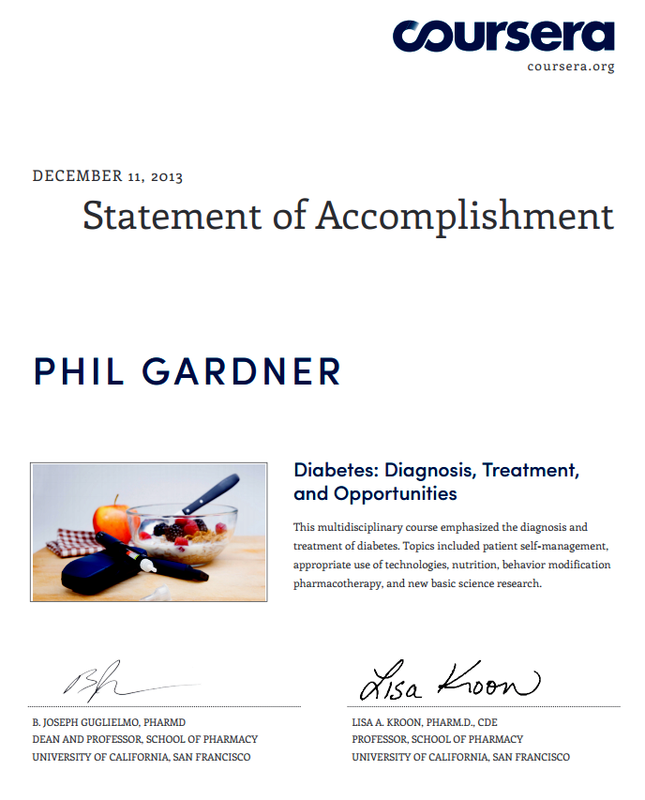 My overall score for the course was 95%, which just goes to show what you can achieve by cramming a week's worth of study into half a day every week, and with that statement of accomplishment, I'm now officially qualified to diagnose, treat and take advantage of opportunities in the field of diabetes. But only if there are no doctors, nurses or Girl Guides present, all of whom outrank me as healthcare providers. In reality it doesn't look exactly like that. I stole most of the pens, so the table's slightly more bare now. 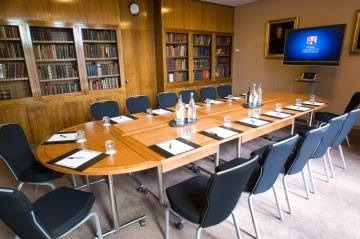 But that aside, I spent five hours in that room yesterday, thrashing out important business with like-minded eye spies. Last time we met, it was agreed that we should all dress down at the next meeting, and not feel the need to wear work clothes. So I put on a short-sleeved shirt and blue jeans. The person who made the suggestion came in a suit and tie. Everyone else wore work clothes. I looked like the tea boy in a room full of doctors. 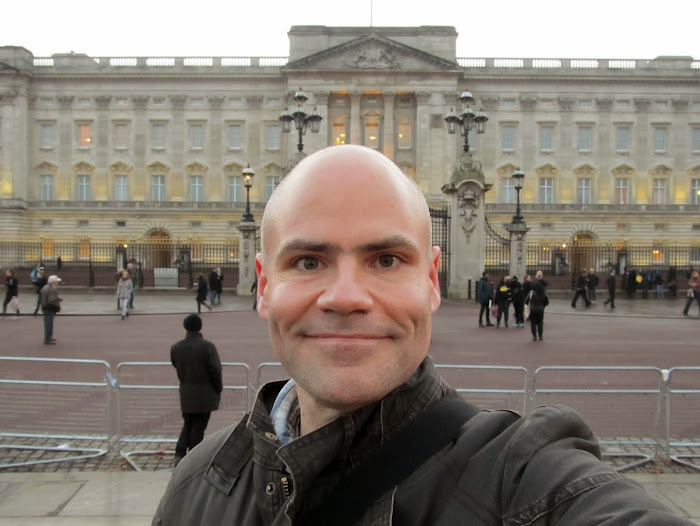 So having spent the day being a commoner in one of the Royal Colleges, I decided to get off the tube train one stop early and walk across Green Park towards Buckingham Palace. 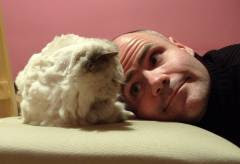 I wanted to get a photo for Amelie. It's where she'll be living when she marries Prince George. Talking of Prince George, your father remarked to me the other day that he presumes Asda supply all his baby clothes. You don't think Amelie might be a bit old for him? Still, I suppose she'd be following in the family tradition. If Prince George is willing to push the boundaries of protocol by marrying someone from a council estate, I don't think a 4-year age gap will bother him.